Scuba Center Asia is founded by two Dutch PADI AWARD winning dive professionals Kim & Bastiaan who are living their dream on Nusa Lembongan. 10 years ago they decided to change their life completely and follow their dreams and passion to set up a PADI Dive Resort. Now and with over 10 years experience in the dive industry Scuba Center Asia is one of the few PADI 5* IDC Dive Resorts of Nusa Lembongan and around Nusa Penida. 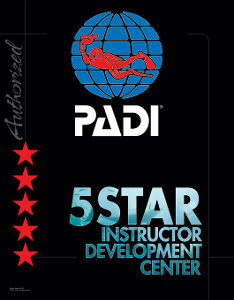 Is Kim the only female in house PADI Course Director of the three islands and Bali and together they know all you need to know regarding safety, stunning dive spots and you will get the best possible training . With the multilingual team of PADI Instructors and PADI Divemasters, Scuba Center Asia knows how to help you have the best dive experience you can imagine through our the personal touch and passion. Professional, Fun, Inspiring and true Passion is what you can expect. Our mission is that everyone (student or certified diver) who dives with Scuba Center Asia will learn how to dive and enjoy diving at their own pace and in their own style: every diver and every dive is different. 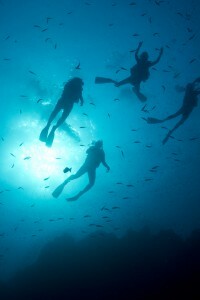 Let us help you find the dive style that suits you best – your dive, your day. Get recognized as a master scuba diving educator and work yourself up as a PADI Master Instructor. PADI Course Director Kim will show you the way. o you want to do a PADI course with Scuba Center Asia but also relax and enjoy your precious holiday time on Nusa Lembongan?! Choose to start with the dive theory of your PADI courses at home through the PADI E-learning program. Please let us know if you prefer the PADI E-learning through email info@scubacenterasia.com, so we can get you started! Nusa Lembongan, Nusa Ceningan and Nusa Penida are the three islands located southeast of ‘main’ island Bali. Lembongan Island is only 25 minute speedboat ride away from Sanur. The island is surrounded by beautiful white sand beaches. There is a secret beach on the south, limestone cliffs on the southeast, mangroves on the north side and all around the island you will find stunning healthy coral reefs to dive on. If you are looking for a unique, fascinating, and tranquil environment, and you want to get out of the busy streets of Bali, Nusa Lembongan is the place to be. 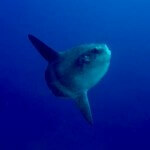 It’s a diver’s paradise and one of the undiscovered pearls of Indonesia!